This figure represents a rise of around 16% year-on-year and will raise the amount of total retail sales to over £50bn. How do you make sure your website stands out in the crowd? Here are three ways your visitors will be impressed and kept coming back for more when you choose Brick technology Web Design Lancashire to create your unique ecommerce website. e-Commerce Websites are getting bigger all the time and so page loading times can be affected. Slow-to-load websites create abandoned baskets and a reduced amount of customer conversions; the current ‘tipping point’ time for customer patience before desertion is about seven seconds. Google uses the speed of a website as a ranking signal, rewarding sites with fast loading times. With Brick technology ecommerce websites, a high speed is guaranteed! Good user experiences lead to increased conversions, recom­men­dations and repeat visits. 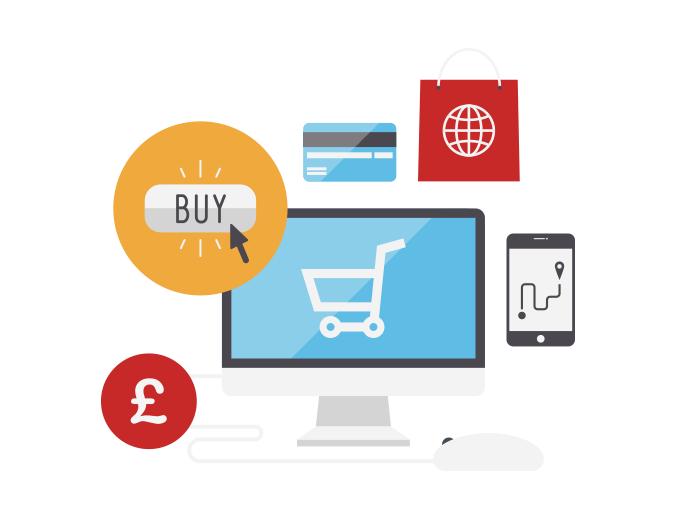 We create ecommerce websites designed individually around your business, presenting products and other information clearly and showing the company in its very best light. Menus and forms are smoothly and securely functional and content can be easily managed and optimised to enhance the visitor journey. With so much strong competition online, making your product stand out is essential and Brick technology custom web design know exactly how to get it right. We can offer professional photography and video services as well as news articles, press releases and unique product descriptions. The more original written content that is on your website, the higher your Google search ranking will be and your visitors will enjoy and wish to repeat the experience. We invite you for a free consultation to show you more ways that our custom web development team can make your ecommerce business a thriving hub of activity. Just give us a call to discuss the unique requirements of your organisation and the exciting journey can begin! You can reach us on +44 (0)1254 277190. Brick technology - signposting the route to ecommerce success.